 A leading US manufacturer and provider of fiber optic cable solutions and accessories for the Broadcast, Pro-Audio, and Pro-AV markets. Camplex SMPTE fiber optic cables deliver the clarity and high performance demanded by broadcast professionals. Broadcasters depend on rugged Camplex tactical cables to provide dependable performance in harsh environments. 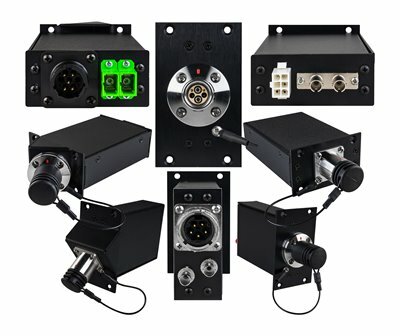 Ensure secure signal transmission interfaces over long distances with Camplex converters & extenders. SMPTE fiber camera cable assemblies for outside broadcast feature LEMO FUW-PUW fiber cable connectors and harsh environment cable. This assembly integrates power line for TV camera, control line, and fiber optics for video and audio transmission. All assemblies are multi-stage machine polished and tested for <.55db RL. 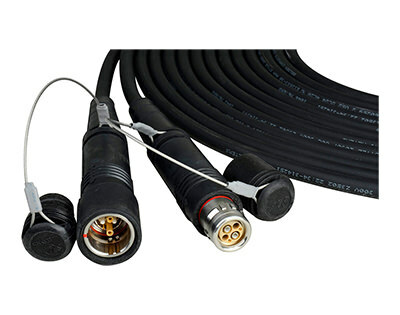 Camplex Neutrik opticalCON LITE DUO and QUAD tactical cables reduce the cost of connectivity and provide high performance for patching, device interconnection, and permanent installations. With a compact and lightweight design, Neutrik opticalCON LITE tactical cables feature rugged, push-pull locking mechanisms and extreme bending flexibility, making them ideal for installations where space is limited. Available in DUO/QUAD patch cables and DUO/QUAD to ST/LC fiber cable connectors, single mode or multimode fiber cable configurations in a variety of lengths as well as pre-loaded on reels. APC configurations also available. 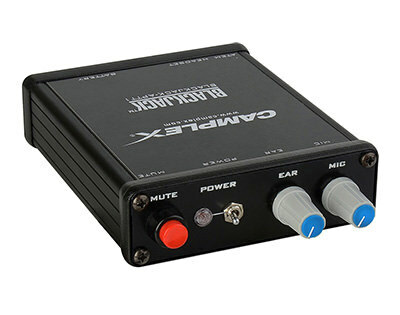 Push-To-Talk headset adapters with volume control designed specifically for the Blackmagic ATEM Camera Converter. Available with 4-Pin/5-Pin XLR, male or female connectors.